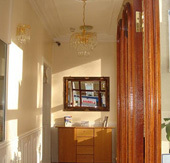 The Euro Hotel Hammersmith Group has been established since 2000. We are a small friendly Bed & Breakfast Hotel which can be rated as a 2 star entity. 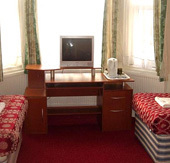 We offer a great value for money accommodation, including en-suite facilities and colour TV with a choice of channels such as Sky News, Sky Sports and various other Sky channels in every room. 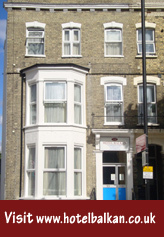 Throughout our two buildings which are 3 doors down from each other on the Shepherd Bush Road, there are a total of 30 en suite rooms. They comprise of the following Single, Double, Twin, Triple and Family Suites. Our friendly team is on hand 24 hours a day and is available to assist guests from check in to check out. As part of our exclusive package we offer, a continental Self Service breakfast in each of our buildings. The Euro Hotel Hammersmith is situated on the Shepherds Bush Road linking Hammersmith with Shepherds Bush and White City. We are in walking distance of the BBC Television Studios, Hammersmith Appollo, Shepherds Bush Empire and the Bush Theatre as well the Famous Hammersmith Hospital.A 5 mins walk from Westfield, the Europes biggest shopping center. The transformation of our 18-bedroom property involved redesigning every hotel bedroom, bathroom, the hotel lobby, breakfast room and all public areas and corridors. The front of the building is also undergoing.